The CopyKat was intrigued to learn about the endeavours of Mary Pilon, who was been labouring to convince the world that games company Hasbro are somewhat misguided when allocating the sole credit for the board game Monopoly to Charles Darrow, an unemployed salesman from Atlantic City. Why - well Pilon points to the central role of Elizabeth Magie (Elizabeth Phillips), who designed The Landlord's Game - and patented this in January 1904 with the US Patent Office (see left). The game was meant to teach the perils of capitalism - although one version allowed players to create monopolies: Magie, who followed the economic theories of Henry George, designed the game to be a "practical demonstration of the present system of land grabbing with all its usual outcomes and consequences". 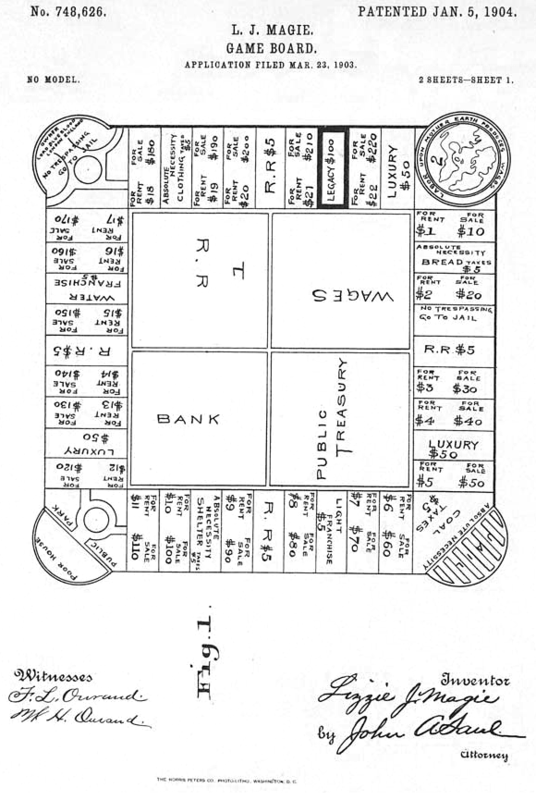 The original Landlord's Game featured a square board with markings for properties, utilities and a corner labelled 'Go To Jail". and it was revised for a 1906 published version (right). 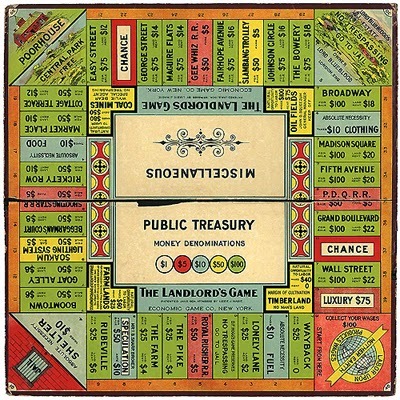 Magie's second edition of The Landlord's Game was later published by the Adgame Company of Washington D. C.:This version was two games in one, as there were alternate rules for a game called Prosperity. Pilon's new book The Monopolists says it is bizarre that Darrow is afforded sole credit for Monopoly - not least as Parker Brothers (who originally produced the game) purchased Magie's patent for $500 in 1935. Magie had other games published by Parker. Nevertheless the current owners Hasbro have said "While Elizabeth Magie may have helped inspire the game, the Monopoly game as we know it was designed by Charles Darrow." Pilon's new book The Monopolists is described as "the inside story of how the game of Monopoly came into existence, the heavy embellishment of its provenance by Parker Brothers and multiple media outlets, the lost female originator of the game, and [a] lifelong obsession to tell the true story about the game's questionable origins." Even Wikipedia says this: " By the 1970s, the false notion that the game had been created solely by Charles Darrow had become popular folklore: it was printed in the game's instructions." Monopoly (the modern version is pictured left) has sold more than 500 million copies and Hasbro and the previous owners, Parker Brothers, have been very keen to protect their rights: Copyright fans might remember the 2003 legal action brought by Hasbro against spoof version Ghettopoly, which satirised hip-hop culture. 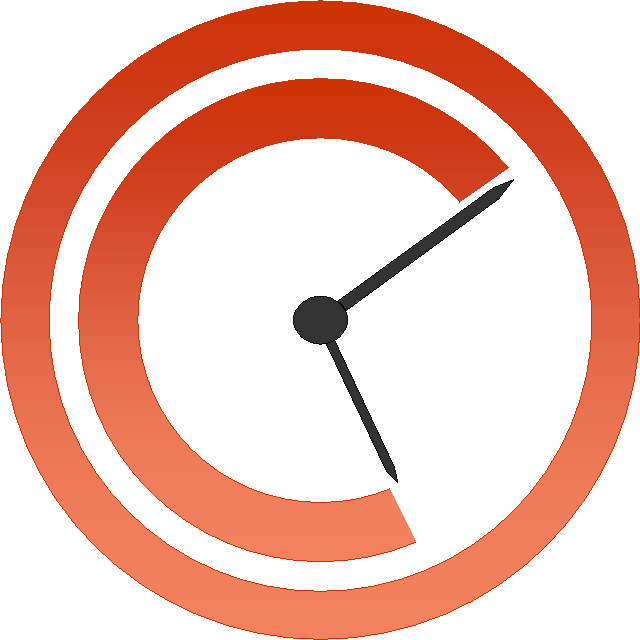 The game became an instant hit when it went on sale in the US and Europe. However, Hasbro, claimed copyright violation and trademark infringement against Ghettopoly. The game sees players get rich through buying stolen properties. In place of the Monopoly top hat, little car and dog players, Ghettopoly players use machine gun, marijuana leaf and basketball icons. According to Ghettopoly creator David Chang, the game also sees “playas” competing with each other by “pimpin’ hoes, building crack houses and getting car jacked”. 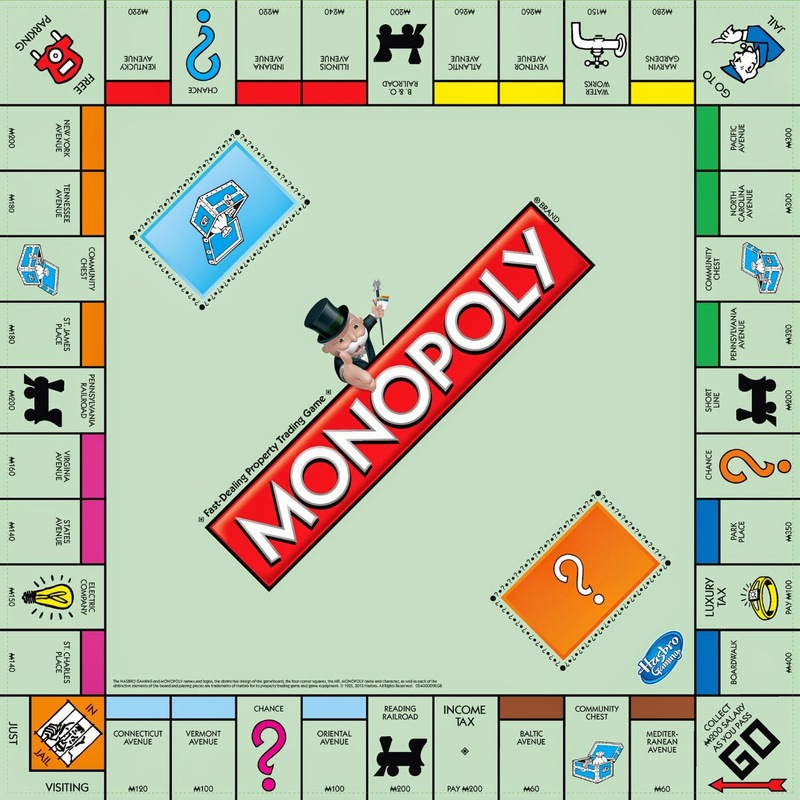 And instead of Monopoly’s Mayfair or Park Lane, Ghettopoly’s properties include Northside Liquor, The Pawn Shop, Ling Ling’s Massage Parlour or Tyron’s Gun Shop. Apart from copyright and trademark issues, the game has caused outrage in the States! In another legal spat, economics professor Ralph Anspach published the game Anti-Monopoly in 1973, and was sued for trademark infringement by Parker Brothers the following year. The case went to trial in 1976. Anspach won on appeal in 1979, as the 9th Circuit Court of Appeals determined (at that time) that the trademark Monopoly was generic, and therefore unenforceable - a position which is no longer the case in the USA after amendments to trade mark law in 1984 (and being trade marks, not a matter for this blog!). More background on Elizabeth Magie here and more on Monopoly here. Who has adopted the Orphans? World IP Day: "Don't Stop the Music"
The CopyKat - Is Disney skating on thin Ice? The London Manifesto: time for reform?